Lumkani has rolled out fire detectors to over 7000 informal households across South Africa since its launch in December 2014. 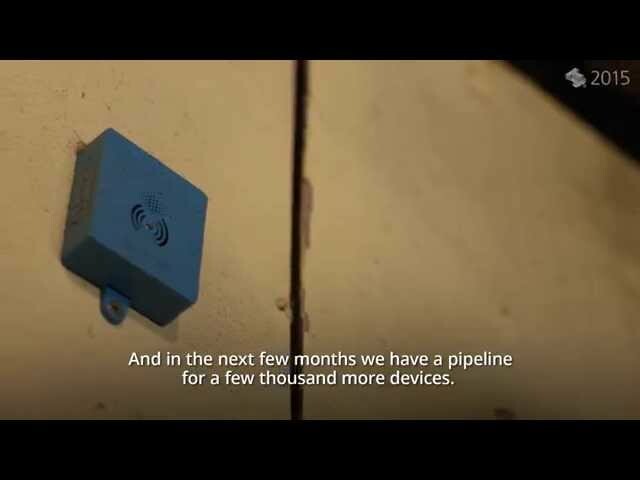 Our new device version is launching in mid-May where we will be installing them into 5000 households in South Africa's highest fire risk community in Cape Town South Africa. Our most recent project has been concluded which saw the installation of 1600 fire detectors in another high fire risk community. Current Lumkani is working on scaling our business through the use of micro-insurance products and social impact bonds which should both go live before 2016 closes. By the end of 2016, Lumkani will be in 20 000 households in total. We have 7000 low-income informal households benefiting from our networked fire technology. Approximately 30 000 people are protected by our technology each day across South Africa's largest cities and rural communities. Lumkani's smart device informs management immediately via SMS (and stored on our servers) when fires have been detected in any of our communities. Using two-way SMSs in the event of fire, households verify immediately that there is fire. Lumkani follows up with households in the affected areas with each system alert to understand how we mitigated the loss of life and property caused by informal settlement fires. To date we have detected many fires and there have been 7 incidents where our customers have verified that the situation would have been critical if not for our technology. No one has lost their lives to fire in any of our communities to date. Lumkani has developed a world-first early warning fire detection system specifically designed for urban informal settlements. 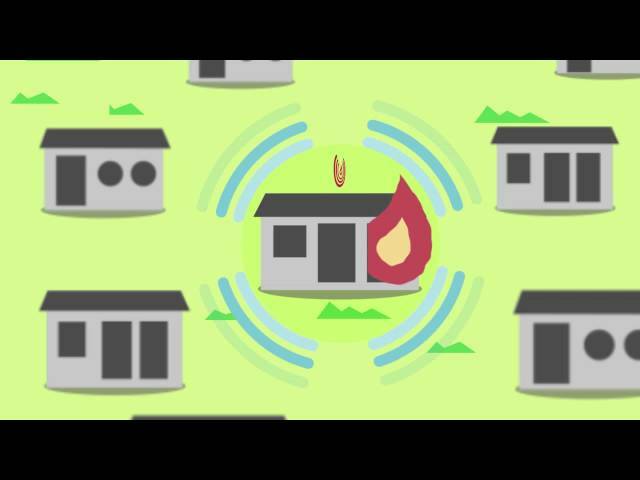 Our integrated system allows for warning alerts to be generated across multiple levels to enable quick response times decreasing the loss of life and property caused by shack fires. The first alert level occurs inside each home. The Lumkani in-home fire detector is a rate-of-rise of temperature detector which has been specifically calibrated to detect dangerous fires using heat and NOT smoke as a method of detection. This is to address the fact that urban slum environments are innately smoky from the cooking, lighting and heating methods used by most people. In this way we reduce all false alarms that would normally occur and it is therefore a more accurate and appropriate form of fire detection. In the event of a fire situation the in-home detector will sound an alarm, alerting the family inside the home enabling them to be proactive before the fire becomes unmanageable. Our next layer of protection is that all Lumkani detectors are networked through radio frequency (RF) technology. If the in-home device has not been silenced after 20 seconds, the device will send out a signal via RF, which triggers the alarms of neighbouring devices within a 60-meter radius. This transmission across the mesh network creates a community-wide alert to the danger and was developed in order to respond to the extreme population density of urban townships. Due to the density of households and the flammable materials with which homes are built, fires spread extremely rapidly – this is what displaces hundreds and even thousands of people in a single blaze. Together these networked devices form a mesh network of early warning protection. Lumkani is the first to market with this off-the-shelf, networked fire detector. As a third layer of protection, Lumkani has integrated smart technology into its early warning system: using GSM (SIM card) and GPS technology. One of our centralized smart devices covers up to 100-200 homes within the mesh network. Our smart devices are constantly monitoring the health of the network and in the event of a fire, this device sends SMS messages to community leadership around the location of the fire as well as stores the GPS coordinates of the fire on our servers. This provides a warning to the mobiles of our end-users so that even if they are away from their community a potentially life-saving phone call can be made. In the near future we will integrate with disaster and emergency services, providing them, in real time, with the location of the fire without the need for a phone call from people on the scene. This enables disaster management to become more proactive to mitigate the loss of life and property caused by shack fires. Currently there is insufficient fire data in South Africa, which our system is able to provide and will be valuable to government informing them how resources could be allocated and how to better tackle fire. Lumkani's strategy is to pair our product with low-cost insurance to protect the owner's contents and structure. Using a low-cost monthly premium, we will be able to provide each household with a fire detector, SMSs in the event of community fire alerts and insurance in the event that their home and possessions are destroyed in a fire. This model will also fund the use of micro-fire stations within poor and hard-to-access communities by emergency services, further mitigating the risk and loss to our customers.We continue to work with private companies, corporations, individuals local and international NGOs/donors to increase our footprint across our country, continent and the world. Our second step is to implement a social impact bond with local governments. In this model we invest our technology in communities where fire is a challenge, at no cost to government or household. Onthe anniversary of our system in any community, we are able to evaluate the damage mitigated, where a portion of the budget traditionally allocated for fire damage will be transferred to Lumkani for it's mitigation efforts through our investment in technology. Our next steps are to constantly improve our smart system to ensure that we are gathering as much data as possible. Now that we have been in communities for a year, we are able to map fire data, frequency, time of day/year and we are able to increase our predictive abilities when it comes to risk and fire, which will improve our afore-mentioned insurance and social impact bond model. Our other focus areas are to increase the features and functionality ofour existing networked devices which will increase the resilience and security of the poorest households globally. Our technology is already able to alert people in remote locations and in real-time of any external threat/disaster such as earthquake, flood, tsunami etc.